For women, hair is a form of self-expression, a reflection of their personalities and power. John Frieda® Hair Care recognized this and launched a new campaign that will create a platform for like-minded women to show off their statement-making looks. 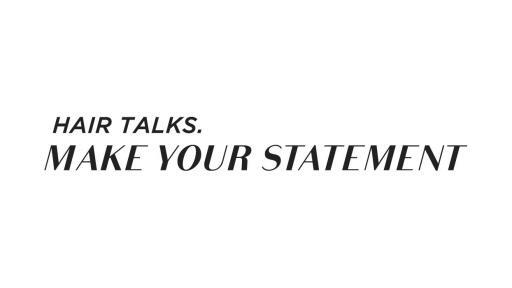 Introducing “Hair Talks – Make Your Statement,” a campaign developed to build a community of empowered and self-assured females who all have something to say—starting with their hair. In collaboration with iHeartMedia, John Frieda® Hair Care launched the campaign by hosting an intimate concert for tastemakers at the iHeartRadio Theater in New York City featuring platinum-selling singer, songwriter, and producer, Tinashe — a one-of-a-kind artist whose boundless ambition and unique style make her a perfect reflection of the Hair Talks – Make Your Statement message. 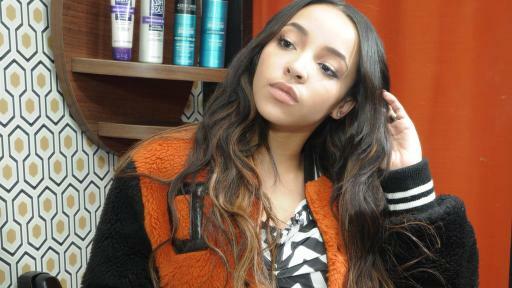 In addition to the concert, Tinashe will also create exclusive content expressing her own personal hair story that will live on John Frieda® Hair Care’s website and social media channels. While the Tinashe event kicked off the campaign, the brand will continue to create like-minded activities and events throughout the year. Knowing that hair plays a big part in the way women choose to express themselves each and everyday, John Frieda® Hair Care wanted to equip them with two must-haves to start their days off right: hair products and coffee. Leading up to the February 9th concert, John Frieda® Hair Care sent a coffee truck to some of New York City’s most stylish neighborhoods, providing coffee and treats while handing out product samples and giving away tickets to the exclusive Tinashe concert to lucky fans. In the following months, fans can expect exclusive content created in collaboration with iHeartMedia and Vox Media featuring powerful and dynamic women from all walks of life. John Frieda® Hair Care experts look forward to growing their Hair Talks – Make Your Statement community — ranging from the woman next door who has her own beautiful and unique sense of style to more public influencers, such as additional iHeartMedia on-air personalities and up-and-coming artists. Additionally, Hair Talks will have strong social support and brand participation in key experiential national and regional events. Kao USA Inc. is a leading manufacturer of premium beauty care brands that are recognized around the world for their innovation and quality. The Kao USA Inc. portfolio includes Ban® antiperspirant deodorants; Jergens® and Curel® hand and body lotions; Biore® facial care; John Frieda® Frizz-Ease®, Luxurious Volume®, Sheer Blonde®, Beach Blonde®, Brilliant Brunette®, Radiant Red® and Precision Foam Colour professional hair care products. Founded in 1882, Kao USA Inc. is a wholly owned subsidiary of Kao Corporation.